The initial startup of the Network Extender takes 30-60 minutes. During this process, the Power/Status LED indicator blinks. If the Power/Status LED indicator is still blinking after 1 hour, relocate the GPS antenna to receive a stronger signal (see Related Topics). For best results after activation, place the Network Extender in an elevated location, such as the top of a bookshelf or cabinet then position the GPS antenna horizontally (GPS letters facing up). 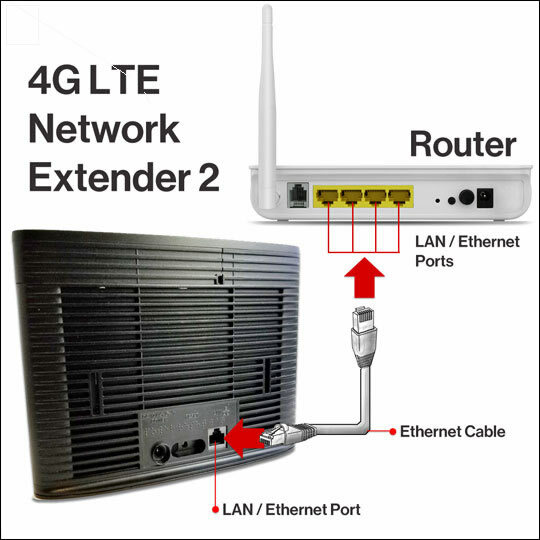 Use the provided Ethernet Cable to connect the network extender LAN Port to an available LAN / Ethernet port on the router or modem. If using a router, ensure that it supports DHCP and VPN. Refer to the manufacturer's info for compatibility. 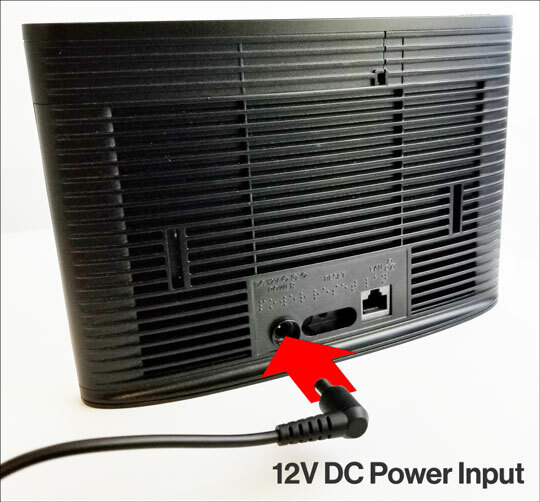 Connect the provided power supply to the Network Extender 12V DC power input. 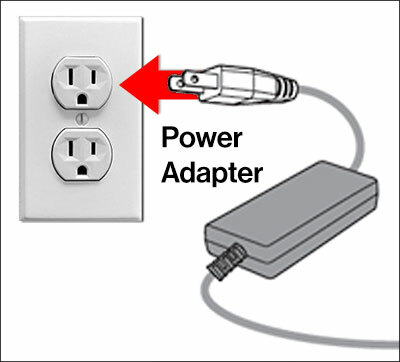 Connect the power adapter to an available power outlet. The use of a surge protector is recommended. Reference the device display to determine the Network Extender status. Verify the Power / Status LED indicator is solid blue . During the initial setup the device display cycles through 14 activation steps and takes 30-60 minutes. During startup process the Power/Status LED indicator is blinking blue. Refer to Startup and Troubleshooting to view additional detail about your network extender startup process or to troubleshoot your setup. Reference the device display to determine the final Network Extender status is "In Service". After successful startup the Power/Status indicator LED indicator on the front of the unit remains illuminated solid blue . Press the button to the right of the display to view additional Device Display and Status info. The GPS Indicator shows the GPS acquisition status and number of GPS satellites currently tracked. Refer to View GPS Status to GPS satellite info from within the Network Extender admin page. 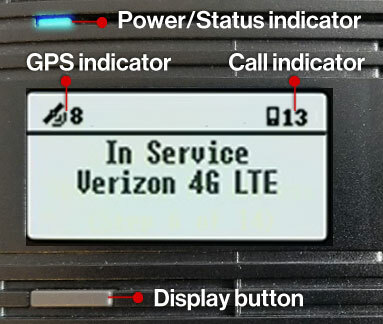 The Connected Devices shows the number of 4G devices connected to the Network Extender. Connected Users Shows the number of connected devices. Turn on HD Voice to use voice services. The device may display a visual indicator icon in the status bar. Welcome to Verizon Wireless. You are under 4G LTE Network Extender Coverage with ID.